Theatre Trivia Tweet: Playing The Palace | All Tickets Inc. The Palace Theatre back in the day. What was the Palace Theatre, where the revival of Annie is playing, originally famous for? 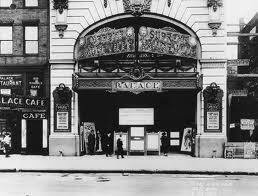 The Palace was the Mecca for vaudeville performers from 1913 through about 1929. When a performer played The Palace they had “made” it.